This one was hard to read – not because of the language, but because of the painful subject matter. 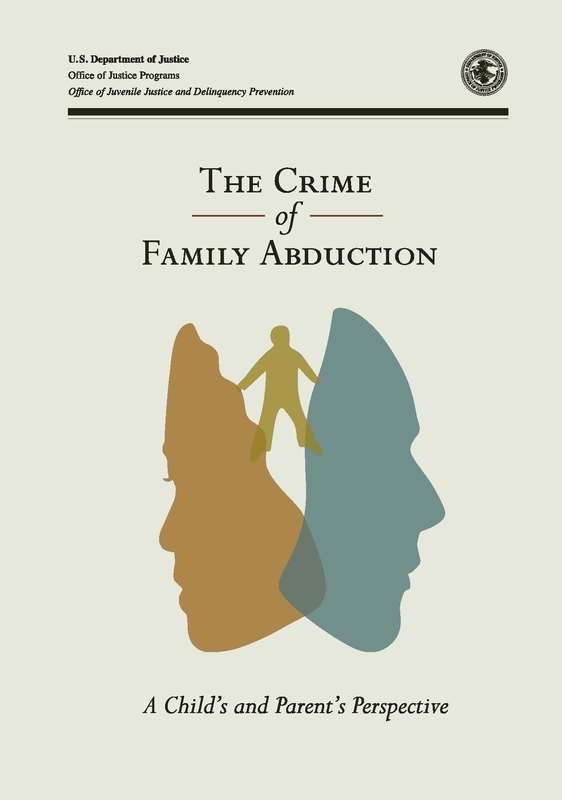 The Crime of Family Abduction: a Child’s and Parent’s Perspective, a 2011 Library Journal notable Federal Government document, tackles the astonishing and heartbreaking fact that more than 200,000 children each year are abducted by a family member. This little book from the U.S. Department of Justice’s Office of Juvenile Justice and Delinquency Prevention highlights a little-understood crime – and it is a crime, in all 50 states and theDistrict of Columbia. I say “little understood” because, despite the fact that this is the predominant form of child abduction, it is too often ignored, as if abduction by a parent is somehow understandable or excusable. Just how inexcusable it can be was brought home to me by the exquisitely painful first-person stories of abducted children and searching parents. The kids involved lose their families, friends, and homes, sometimes are forced to take on new identities, and live in the frightening shadow of discovery. For those returned to searching parents after years of absence, the reunion can be painful or even terrifying, depending on what the abducting parent has told them. According to the testimony presented in The Crime of Family Abduction, the trauma can last a lifetime. This heartrending book is packed with information for anyone faced with what must be an excruciating situation. It’s also a somber and moving snapshot of a crime that victimizes those even peripherally involved. It’s not a light read, but it’s an important one. You can find it here or find it in a library. This entry was posted on Tuesday, June 7th, 2011 at 10:59 am and is filed under Department of Justice. You can follow any responses to this entry through the RSS 2.0 feed. You can leave a response, or trackback from your own site. While I was in the US Army we were given countless briefings on how to educate our families from stranger abduction despite the fact most abductions are done within the family. I always wanted that fact taught to the troops. Looks like now that 15 years has passed it may start to happen if this material is provided to the DoD. THIS IS AN EXCELLENT ARTICLE!IN MY OPINION THE MOST IMPORTANT THING IN EVERY SOCIETY IS …JUST…THE FAMILY!THIS IS THE BASE , AND THE STRONG ROCK ON WHICH , WE CAN BUILD OUR SOSIETY. PEOPLE!ON THE OTHER HAND , DESTROYED FAMILIES GIVE TO US ABNORMAL PERSONS!FORTUNATELY , IN MANY COUNTRIES LIKE THE U.S.